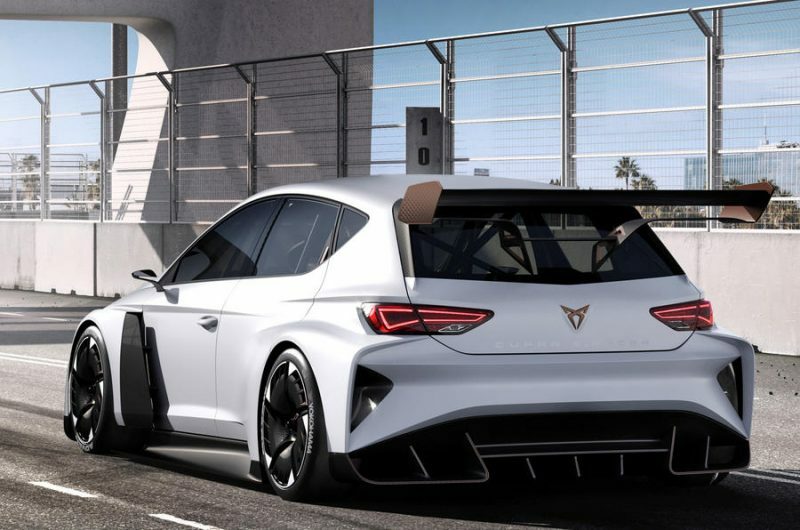 SEAT has unveiled imagery of an all-electric powered Cupra E-Racer touring car ahead of its full unveiling at the Geneva International Motor Show next week. The car will feature an electric motor capable of peak power in the region of 670bhp, sent to the rear wheels. The Spanish car company’s announcement follows a statement last week from the promoters of TCR of its intentions to run an E TCR series. 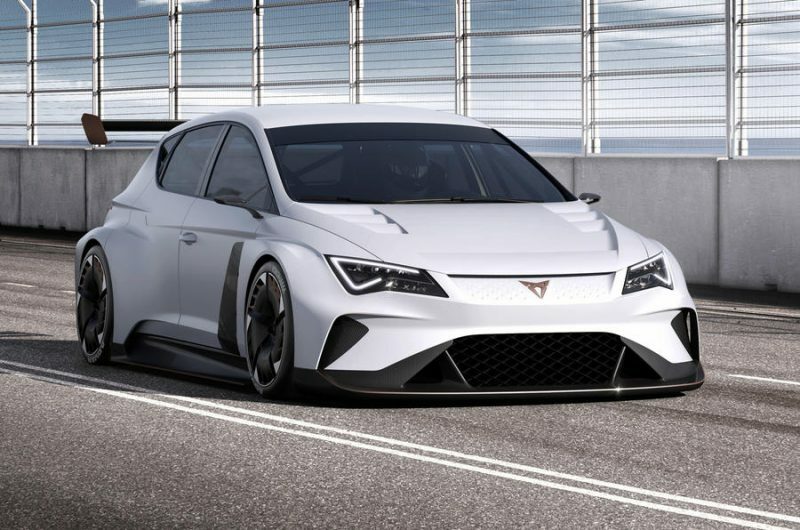 Though details on the new series are scarce, Seat says the Leon Cupra E-Racer is built to the proposed category’s regulations. “This is a true motorsports car,” said president of Seat, Luca de Meo. “It is the first electric, racing, touring car in the world. “We thought racing should be efficient and clean, and by introducing a new and revolutionary car like this we want to send, to the racing world, an important message. SEAT already competes with the Leon Cupra, and will this year field three cars in the World Touring Car Cup, the competition which has taken over from the World Touring Car Championship. The SEAT Leon Cupra E-Racer will be officially unveiled at the Geneva motor show on Tuesday.